New River Community Action, Inc. (NRCA) Board of Directors elected new officers at their annual Board meeting on June 21, 2018. The Board elected Mr. John McEnhill to serve as the Board Chairperson for the upcoming fiscal year 2018/2019. Ms. Aline Brinckman was elected Vice-Chair and Mr. Lee Simpkins was elected Secretary/Treasurer. As officers for the Board, they also serve on the Board’s Executive Committee. 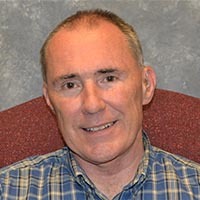 Mr. John McEnhill is the Floyd government representative to the Board appointed by Floyd County Board of Supervisors. 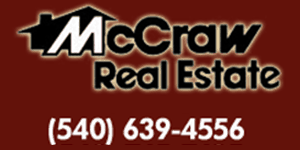 Mr. McEnhill has served on the NRCA Board of Directors since June 2002 and has been Chair of the Board since 2012. 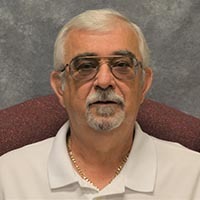 He currently serves as Executive Director for the Floyd County Chamber of Commerce and volunteers many hours each month for several NRCA Board committees and special projects. Ms. Brinkman is Montgomery County’s civic representative. Ms. Brinkman has served on the NRCA Board since May 2016. 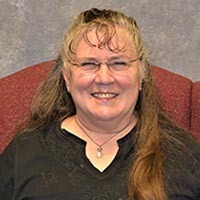 She is soon retiring as the Coordinator for Project Hope, a regional program for Homeless Education which includes the five school divisions in the New River Valley. Ms. Brinkman also serves on the Board’s Membership and Executive Committees and as Chair for Personnel Committee. Mr. Robert “Lee” Simpkins is Radford City’s civic representative. Mr. Simpkins has served on the NRCA Board since August 2015. As Secretary/Treasurer, Mr. Simpkins also serves as the Chair for the Board’s Finance Committee. Mr. Simpkins is retired as Fire Chief from Radford City. The new officers will be assisted by fellow Board of Directors’ members from Floyd, Giles, Montgomery, Pulaski and Radford: Sue Gladding, Sarah Greene, John McEnhill, Col. John Getgood, Corbin Vierling, Joseph Yost, Tonia Winn, Aline Brinckman, Sally Quesenberry, Elaine Powell, Carrie Hodge, Robert “Lee” Simpkins, Rev. Gina Rhea and Tina Lindsey. Dr. Boyoung Park is an ex-officio member with expertise in Early Childhood Education. Ms. Terry Smusz is the Board’s Chief Executive Officer. New River Community Action (NRCA) has been a well-known proponent of self-sufficiency in the New River Valley of Virginia since 1965. The agency works hand-in-hand with community groups to address local conditions of poverty, assisting the area’s most vulnerable residents including the homeless and ex-offenders. NRCA also offers programs to low-income families with young children to promote school readiness, healthy families, and effective parenting. NRCA serves about 10,000 New River Valley residents each year. New River Community Action welcomes the continued leadership provided by its officers and directors.